We were given FREE tickets! Who doesn’t love that?! Two hours away from our wee-lil’ town, in our state capital, our “neighborhood” zoo was offering a special, limited-time dinosaur exhibit. Naturally, I tend to veer away from dino-type offerings from the world, but as I knew it would mostly be life-sized models, my younger boys can not yet read all the evolutionary hogwash plastered on the display signs, and the Hubs and I could have an on-going Creation-focused conversation with all the Littles as we walked the tour, I agreed that this would be a fun expedition for my dino-lovin’ Super Boy and his side-kick siblings. I won’t bore you with all the nitty-gritty of our little field trip except to give you a few tips for traveling to a long-distance field trip destination and a FREE Printable. Packing a lunch, easy-to-manage snacks, and water bottles to avoid the outlandish snack bar prices goes without saying. Backpacks are a large family’s best friend. Even little ones can tote their own necessities if given a size-appropriate pack. Preparation is the key to a successful long-distance field trip. Check out these helpful sites for field trips in your area. 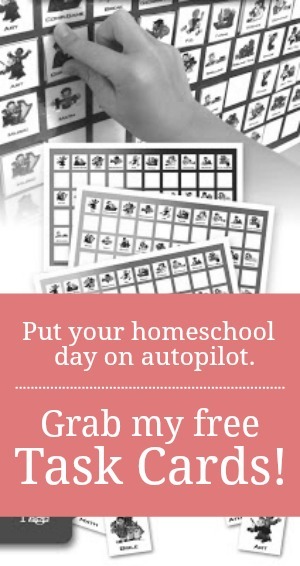 Hip Homeschool Moms-a list of fun field trip destinations in EVERY state. While on our two-hour-long trek TO the capital and the two-hour-long trek BACK home, we entertained ourselves with a few zoo/animal themed car games. Two that were especially fun were a “Name That Baby Animal” and “Name That Animal Group” guessing game. Essentially, I just called out an animal name and the first person to chime in with the correct answer earned a point. Most of the group names were unfamiliar to my kids, so, it was a great way to introduce them. Later, as we saw many of those same groups at the zoo, the kids were able to recall a few of them. I have put all of our "fun" on an easy-to-print-and-bring-along page just for you. Enjoy it on your next zoo outing or long car ride! Thank you, I know they will come in handy soon. We get irritated too with the "millions" of years ago stuff. Its easy when they can't read, then we can re-word it to truth. hahahah!